President Trump’s Middle East peace hopes. May 2017. Will the Donald bring peace to the Middle East? May 2017. 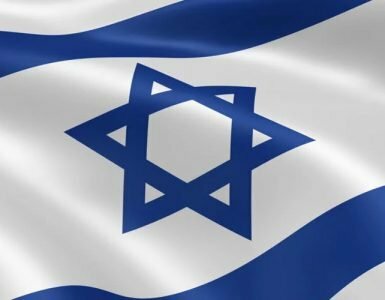 Majority of Israelis have little hope of peace. June 2017. United Jerusalem not up for negotiation. June 2017. Peace Is Light-Years Away. July 2017. 70 nations gathered in Paris to call for creation of a Palestinian State. January 2017. On arrival in Israel President Trump conveyed ‘the warmest greetings from your friend and ally, all of the people in the United States’. He became the first sitting U.S. president to pray at the Western Wall in Jerusalem. Israel was pleased to note that he had visited Israel so early in his presidency unlike Barack Obama who waited five years as President to visit the land. So will he succeed where former Presidents Clinton, George W Bush and Barack Obama have failed? Is this the beginning of the prophesied peace treaty or another missed opportunity? It is hard to see any movement in the stated positions of both sides on issues of Jerusalem, borders and Israel’s security demands. But we are living in prophetic times so all things are possible. President Trump arrived in Israel in May announcing, ‘I have come to this sacred and ancient land to reaffirm the unbreakable bond between the United States and the State of Israel.’ He expressed the hope of bringing about a peace between Israel and the Palestinians, as he arrived on the first direct flight ever to take place from Saudi Arabia to Israel. He announced a new opportunity ‘to bring security and stability and peace to this region and to its people, defeat terrorism and create a future of harmony, prosperity and peace.’ After meetings between senior Israeli and Palestinian officials, the groundwork has now been laid by US negotiators for a Middle East peace summit, expected to be held this September. Will it work? So far every US President since Bill Clinton has made their effort to bring a peace settlement to Israel and failed. A recent survey showed that 50% of Israeli Jews say there is absolutely no chance of a peace deal between Israel and the PA in the foreseeable future, compared to just 3% who say the chances for such an agreement are good. On the big issues of the status of Jerusalem and the territories the two sides remain as far apart as ever. Israel insists that Jerusalem must remain the undivided capital of Israel while the Palestinians say that Israel must withdraw from all territory occupied in 1967, including the eastern side of Jerusalem, in order for a Palestinian state to be set up with Jerusalem as its capital. East Jerusalem is the site of the biblical holy sites, including the Temple Mount and the Mount of Olives. Israel is incensed that the Palestinian Authority does nothing to condemn terrorism against Israel, and continues to honour as ‘martyrs’ those who die in terror attacks against Israelis. Jerusalem remains the burdensome stone of Zechariah 12.2-3, at the centre of international attention. Bible prophecy (Daniel 9.27, Isaiah 28.16-19) indicates that at some time in the future there will be a covenant with Israel, which looks like a peace treaty with its neighbours. This is the start point for the seven year countdown to Messiah touching down in Jerusalem as described in Zechariah 14. It is unlikely that Donald Trump and his US administration will be the one to bring in this covenant. Daniel’s prophecy indicates that the one brings this to pass will be ‘the prince to come’, the coming Antichrist who is in some way connected to Rome and the people responsible for the destruction of the Temple in AD 70, the Romans (see Daniel 9.26-7). A majority of Israeli Jews believe it would be impossible for Israel to reach a peace deal with the Palestinian Authority anytime in the foreseeable future, a new poll shows. According to a survey published by Channel 2, despite President Donald Trump’s pledge to bring the two sides together for negotiations, there is little optimism regarding the possibility of a final status agreement between Israel and the Palestinian Authority. A full 50% of Israeli Jews say there is absolutely no chance of a peace deal between Israel and the PA in the foreseeable future, compared to just 3% who say the chances for such an agreement are good. 46% of Israeli Jews said a peace deal was possible with the PA – but was unlikely to be reached. A special majority of 80 Knesset members would be needed to divide Jerusalem, according to a bill for a Basic Law submitted on 16th June by Education Minister and Bayit Yehudi leader Naftali Bennett. The legislation will be brought to a vote within two weeks in the Ministerial Committee on Legislation, which is headed by Justice Minister Ayelet Shaked, Bennett’s party ally. Shaked said in radio interviews that she expected Likud ministers to support the measure. ‘Jerusalem is the heart of the Jewish people,’ Bennett told the Israel Hayom newspaper. ‘I see the Trump era as an opportunity to bolster Jerusalem so it will not be possible to divide it again.’ The Bayit Yehudi chairman called the bill a strategic measure and vowed that his party would complete the legislation process before the end of the current Knesset. Opposition leader Isaac Herzog of the Zionist Union sparred with Bennett about the proposal on Twitter. If the leaders of the Palestinian Authority (PA) had invested as much time, energy and other people’s money in building a flourishing society as they do in the pursuit of death and destruction, there would be no need for outside efforts to broker peace between them and their Israeli counterparts. It takes only about 30 minutes to drive from the Muqataa compound in Ramallah to the Prime Minister’s Office in Jerusalem. Yet it is still easier for dignitaries from the United States and Europe to spend hours on flights to Tel Aviv for the purpose of talking about a two-state solution than it is for PA President Mahmoud Abbas to budge in any direction other than backwards. Take this week, for instance, which began with the Palestinians’ refusal to host US Ambassador to Israel David Friedman — whom US President Donald Trump has included in his Mideast peacemaking team, along with advisers Jason Greenblatt and Jared Kushner — in Ramallah. They say he is too pro Israel. Jason Greenblatt joined fellow envoys of the Middle East Quartet — the US (which he represents), the European Union, the United Nations and Russia — in Jerusalem “to discuss current efforts to advance Middle East peace, as well as the deteriorating situation in Gaza.” He announced that Israel had agreed to sell the PA 1.2 billion cubic feet of water. This, he said, in addition to an electricity deal reached between Israel and the PA will improve the Palestinians’ standard of living. Meanwhile, in Washington, the Senate Foreign Relations Committee conducted a hearing on the proposed Taylor Force Act, named after the former US Army officer who, while on a trip to Israel in March 2016, was stabbed to death by a knife-wielding Palestinian on a rampage in Tel Aviv. So far, however, all Abbas has done is call the shots on the venue of a meeting between his honchos and Trump’s team, agree to water and electricity deals that benefit the PA and give the White House cause for false optimism. Undoubtedly, he has already figured out how to get around the Taylor Force Act, if and when it passes and keep his “martyrs” in clover. Ramallah may be a mere 10 miles from Jerusalem, but it — like peace — is light-years away. The joint declaration that was issued at the conclusion of the conference endorsed UN Security Council Resolution 2334 which was adopted on December 23rd and the six principles that U.S. Secretary of State John Kerry laid out in his 70 minute speech on December 28th. However it did not immediately recognise a Palestinian state, nor did it lead to further action being taken by the UN Security Council on 17th January, as had been feared by Israel. The conference participants agreed to work toward “a negotiated solution with two states, Israel and Palestine, living side by side in peace and security”, which is merely a re-statement of the long held position of the UN anyway. There was actually nothing new in this statement, and the outcome of this conference was not nearly as bad for Israel as many had been anticipating. The original intention of the conference, which was called for one year ago by former French Foreign Minister Laurent Fabius, was seen as a way of forcing Israel to accept a Palestinian state inside its borders. Yuval Rotem, Director General of Israel’s Foreign Ministry, considered the conference to be a victory for behind-the-scenes Israeli diplomacy. “The fact that the Paris conference has no follow-up is, from our perspective, the most meaningful accomplishment. Even though we did not attend the conference, we succeeded in getting across our position.” PA President Mahmoud Abbas was disappointed in the conference and cancelled a follow up meeting with French President Francois Hollande.